Once you arrive to Madsen Road you will see the entrance to The Springs. Please drive through the entrance and then turn right at the first roundabout. 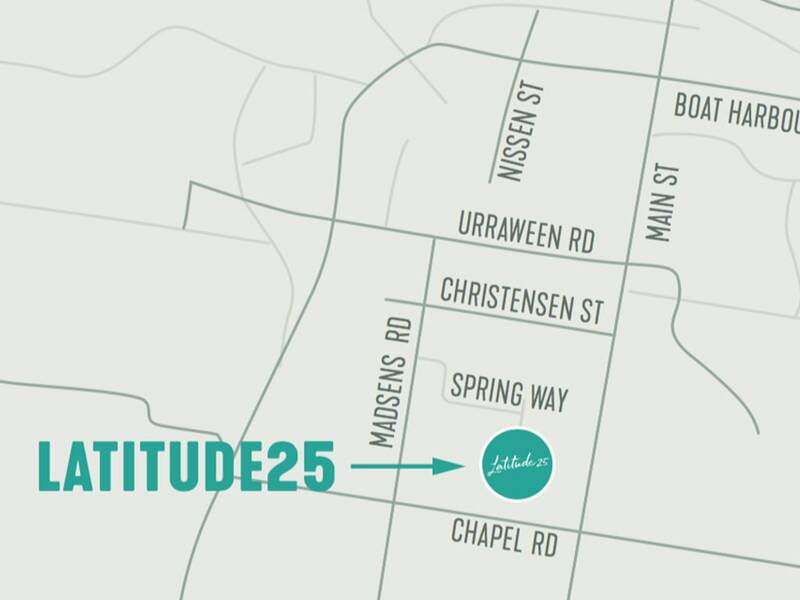 There you will see Latitude25. EASTER TRADING HOURS: The Sales Hub will be Open Easter Saturday 10:00am to 3:00pm and Closed Good Friday, Easter Sunday & Monday. Normal hours will resume Tuesday, April 23.